Collect, score and qualify leads using Bots to better convert site visitors into customers. 40+ ready to use customer centric Bots to drive your app usage and retention. 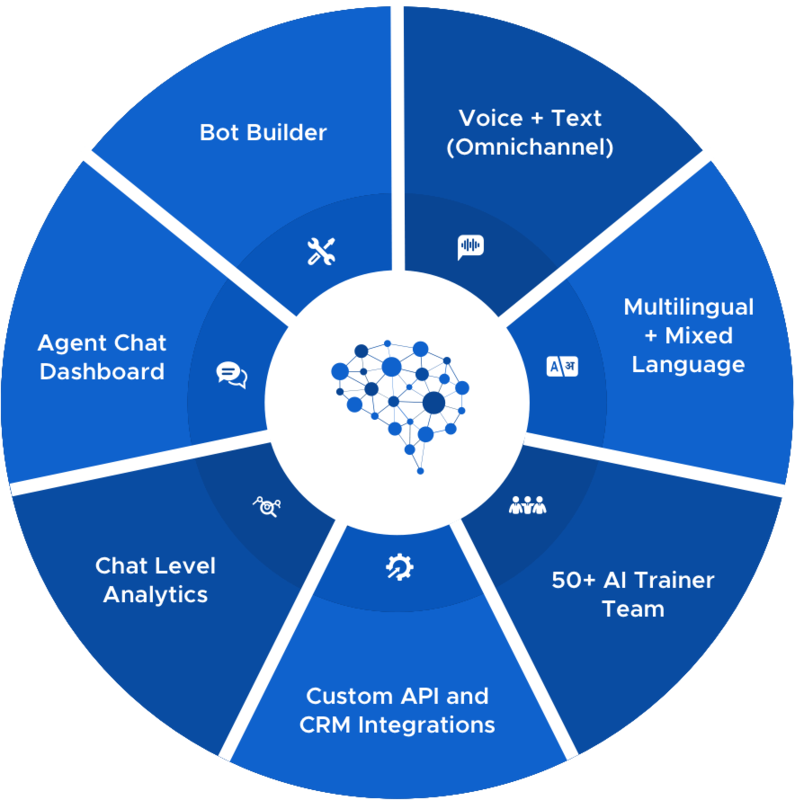 Leverage the best of AI and proprietary bot-to-human routing capabilities to scale customer support. Say goodbye to static survey forms with end to end feedback collection using dynamic AI driven Q&A. One Stop ShopEverything you need to build, deploy and manage a conversational application across 16 different channels of text and voice. Built On Real Consumer DataWe only focus on use cases to enable end consumer engagement on the back of real conversational data of a billion+ messages. Best of AI + HumanProprietary Bot-to-human routing capabilities ensure live agents can resolve complex queries or intervene as needed.